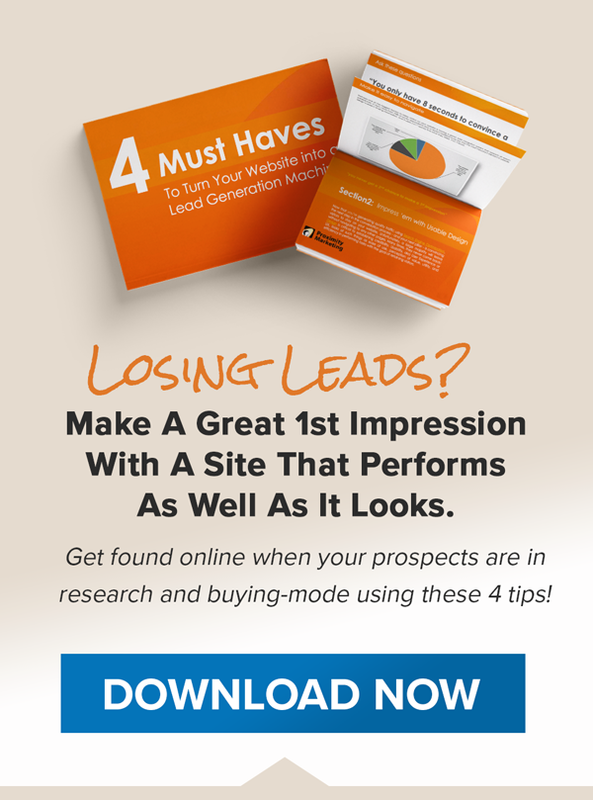 While websites don’t churn out perfectly cooked turkeys or meatloaf, they can churn out leads for your business. Some companies, however, have lived with a set it and forget it mentality, allowing their website to sit stagnantly online for years. Like a business card, these forgotten websites share basic company information, like location, mission statement and the executive team, but not really taking advantage of the online marketing benefits provided by a website. Surprisingly, some companies still don’t have an online presence. In our recent research report of Medina County manufacturers, we found 28% of companies have no website at all. Today’s buyer has unlimited access to information, with 74% of business buyers conducting more than half of their research online before making an offline purchase. This online shift in buyer behavior means B2B businesses must be present for more of the buyer’s journey and one of the easiest ways to do this is through a website that attracts, engages and educates prospects. Online marketing strategies that tie into a website such as search engine optimization (SEO), content marketing and social media campaigns can help businesses be more visible. An intentional strategy to drive relevant traffic to your website is what makes the difference between a lead generation tool and an online yellow page listing. Here are three reasons your company’s website should be more than an online business card. One of the most impactful strategies a business can leverage on their website is search engine optimization (SEO). If this sounds like a foreign language to you, let us explain using our infomercial reference from above. Imagine you are trying to sell rotisserie ovens to restaurants. How do you get found by a new restaurant which just opened and needs what you are selling? Well, we know a significant portion of buyers are researching online early in the buying process, and strategies like SEO can help put you in front of potential customers. SEO is the process of improving the online visibility of a website or webpage in search engine results like those on Google or Bing. Without diving too deep into the tactics, the most common SEO practice is using select keywords in the content of a website to rank for those phrases in search engines. Developing keyword specific text for your website is a methodical process. It may take months, even years, to be found on page one of search results. But SEO is a worthwhile investment because your company is reaching potential buyers when they are in active research mode. Website content should answer the questions prospects are asking and give them the information they need to make an intelligent buying decision while positioning your business as the best solution for their problem. The easiest way to start building website content is through a blog. 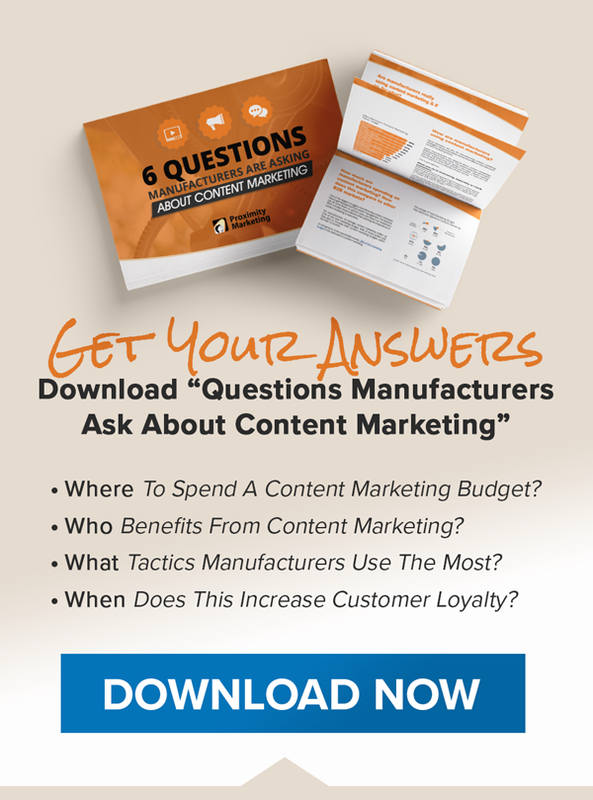 Regular blog articles that answer common customer questions will help get the ball rolling. Studies show companies who have a blog see an increase in both website visits and leads every month. Engaging content doesn’t have to be written either. Other mediums like audio, galleries, and video can be efficient forms of content marketing. The point of content marketing is to demonstrate your industry strength through knowledge, without an overt sales pitch. Every marketing effort should have goals, and a website is no different. The ability to monitor and measure your website traffic and content engagement is critical to gauging marketing success. The easiest way to track website activity and performance is through Google Analytics, a free, comprehensive suite of tools that helps determine how a site is performing. Insights like website traffic, page visits and the duration, where traffic comes from and the kind of device used to view your site are just a few of the measurable statistics available when analytics are installed. Why are analytics so important? When deploying strategies like content marketing and SEO, the insights from Google Analytics can help you quantify your return on investment (ROI). Companies who are taking the time to track their website activity are rewarded with double the average revenue according to our research. Having tracking tools in place likely means the company is actively involved in a marketing strategy to drive website traffic. When thoughtfully executed, a website can be a major marketing asset that not only shows a company’s value and demonstrates credibility but acts as an around-the-clock sales person that educates prospects and captures leads. Is your website supporting your digital marketing tactics? If you would like to learn more about turning your website into more than just an online business card, contact us. If driving traffic to your website is your ultimate goal, then you must have quality content and a plan for creating new content to educate your consumers regularly. And remember, each page on your website site could be an entry door to your business– so create as many as you would like to see opened. From building a site from the ground up to tracking popular design features, Proximity can do it all. Whether you need assistance with responsive design, mobile or e-Commerce, we can walk you through the process and explain what options will work best for you. Gaining qualified leads allows you to have an open dialogue with valuable potential customers. Whether you market a case study, white paper, product-specific email or a free consultation, we work to leverage your services to target your ideal demographics.